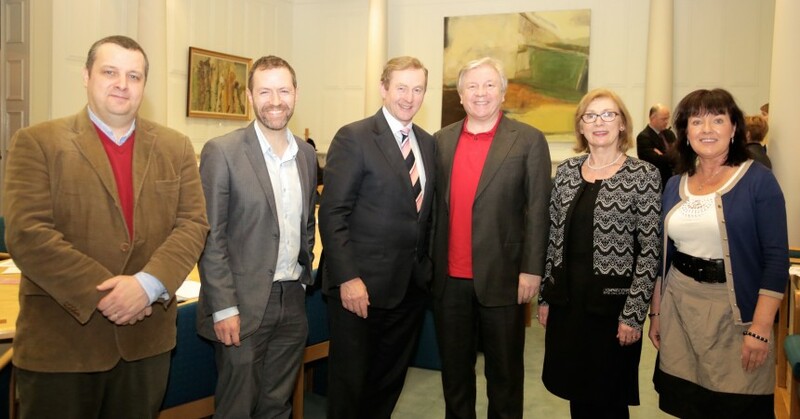 This is part of the Atheist Ireland delegation that met the Taoiseach and Minister for Education last week, in the first formal meeting between an Irish Prime Minister and an atheist advocacy group in the history of the State. The photograph is significant for who it does not not include. Our delegation included a primary school teacher and a secondary school student, both of whom told the Taoiseach and Minister for Education of their experience of religious discrimination in the education system. Unfortunately we had to be photographed without them, as they had to attend the meeting anonymously. Why? Because they, quite prudently, feared further recrimination if it was known that they had highlighted the discrimination that they already faced. This is because our Equality Acts give exemptions to religious schools that allows them to discriminate on the ground of religion, against students and teachers, in order to protect the religious ethos of their institutions. And the Irish State, despite its obligation to protect the human rights of students and teachers in the education system, has ceded control of the running of the schools to patron bodies, 90% of whom are Catholic Bishops. You can read more detail in our report of the meeting here. The meeting marks the start of an ongoing dialogue process, in which we will have detailed follow-up meetings with Department officials and Ministerial advisors about the changes that we believe are needed to respect our fundamental rights. After several of these follow-up meetings, we will be in a better position to judge how positive the dialogue has become in practical terms. Pictured left to right are John Hamill, who runs Atheist Ireland’s blasphemy law campaign; Derek Walsh, who told the Taoiseach of his experience as an Irish parent of religious discrimination in his child’s education; Enda Kenny, Taoiseach; Michael Nugent, chairperson of Atheist Ireland; Jan O’Sullivan, Minister for Education; Jane Donnelly, Human Rights Officer of Atheist Ireland.